Emken-Linton Funeral Home in Texas City held a memorial service to remember the lives of those who were lost in the 9/11 attacks on our country. 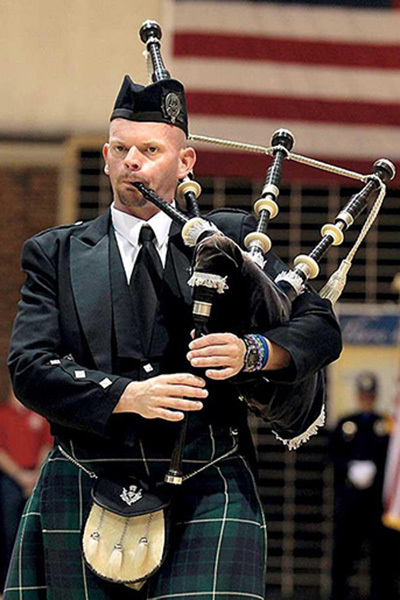 Houston Bagpiper was called to play "Amazing Grace" during the service. After a few words spoken from the mayor I walked in playing the tune. The Texas City honor guard concluded the service with a 21 shotgun salute and taps. The funeral home had a BB-Q lunch for the areas first responders to honor them for their service. What a tribute! I received a call from a man named Robert who wanted me to play for his wedding. 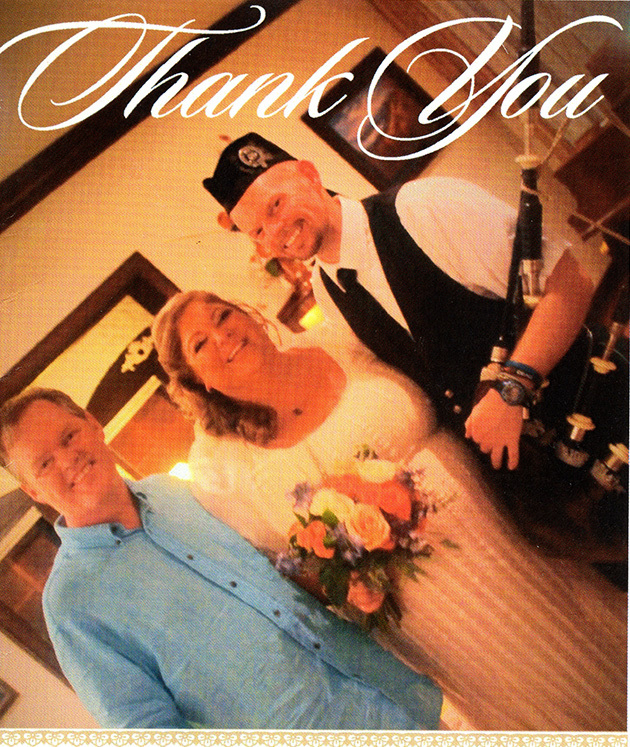 He shared with me how much he appreciated me playing for his wife's funeral earlier last year and that he was getting remarried on the Carinval Triumph out of the Galveston cruise terminal. We discussed the details of what and when he wanted me to play for the wedding. Robert said I had to be at the terminal by 9:00am so that I can get checked in. All the people attending the wedding had to enter the ship at the same time. When I arrived I received a badge that I had to keep with me the entire time I was on the ship. It was a rainy night at a home in River Oaks where I was called to play for a wedding. The streets were getting flooded as I waited for the time to play. Ron, who booked me for the gig came out to me, and invited me in the house to get out of the rain. I took him up on the offer and made my way into the house. There was quite a bit going on in the house to get ready for the wedding. I made my way outside to get ready to play. Read more: Dreams Do Come True! Several times a year I travel overseas with my church to tell others about what Jesus has done in my life and invite others to have a personal relationship with Him. Every time I travel I bring along a set of bagpipes I have that I use as a spare in case I have a problem with my "good" pipes. The pipes I usually perform on are made out of wood while my back up pipes are made out of plastic. Because of this, it makes sence to take the plastic pipes when traveling overseas. Traveling can be hard on your bags.